Each year, the Emory Law Alumni Awards recognize outstanding alumni who have achieved distinction in legal practice, teaching, research, or public administration and who have demonstrated distinguished service to Emory Law, the Emory Law Alumni Association, or Emory University. On Friday, April 12, 2019, during Emory Law Alumni Weekend (ELAW), we recognize four alumni for the distinction and honor they have brought to the law school through their service and achievements. Established in 1985, the Distinguished Alumni Award is given to an alumna or alumnus who embodies the values of the school and has demonstrated extraordinary achievement in the legal profession and in service to society. Lewis S. “Mike” Eidson 71L is recipient of Emory Law’s 2019 Distinguished Alumni Award, in recognition of the remarkable career he established since he graduated from Emory University School of Law in 1971 as a Lamar Law Scholar. 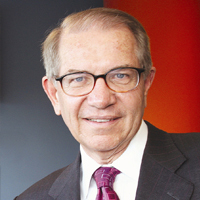 Eidson is president of Colson Hicks Eidson, a Miami, Florida, law firm dedicated to trial practice, established in 1967. (It is now located in Coral Gables.) Eidson is renowned for his work in class actions and complex litigation, including landmark cases involving the automotive industry. He has secured malpractice settlements for many clients in cases involving the pharmaceutical industry and medical personal injury. He also has litigated more than 120 jury trials in Florida and across the country. Eidson is an expert in aviation cases and has represented more than 1,000 individuals in general and commercial aviation both in the United States and abroad. He lectures at state and national seminars and programs on expert testimony, trial practice, federal preemption, protective orders, and all aspects of product liability including technology and the law. 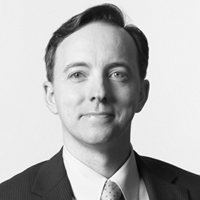 Eidson has served as an instructor at the Kessler-Eidson Trial Techniques program at Emory Law, which he endowed and bears his name. In addition to his legal career, Eidson was a 1st Lieutenant in the US Army from 1968-1971, and later served in the reserves. In 2017, Eidson was included among the “Emory Law 100,” an honor created to recognize the law school’s luminaries and commemorate the law school’s 100th Anniversary. For more than 25 years, he has sponsored scholarships at four institutions, including Emory, that encourage women to become trial lawyers. The Eléonore Raoul Trailblazer Award commemorates Eléonore Raoul 20L, the first woman admitted to Emory University and a national leader in the women’s suffrage movement. It is given to an Emory Law alumna who has blazed a trail for others through her own professional and personal endeavors. 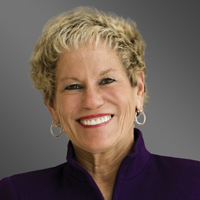 Lori G. Cohen is co-chair of Greenberg Traurig’s Global Litigation Practice, where she leads a group of more than 600 attorneys who are nationally and internationally focused on complex litigation of all types—including product liability and pharmaceutical, medical device, and health care litigation. Cohen is not only nationally recognized for her extraordinary trial record of 57 defense verdicts, but also for her Daubert knowledge and general scientific expertise. She is well-regarded for her work on the use of technology in courtroom presentations of complex medical, scientific and other catastrophic injury cases, and is a sought-after lecturer on the topic. Clients have called her a “trial wizard,” for her ability to translate complex evidence for lay jurors. In 2018, Cohen was recognized as “Product Liability Attorney of the Year” by LMG Life Sciences and inducted into the Life Sciences Hall of Fame. She is also one of two attorneys listed in The Legal 500 “Hall of Fame” for product liability litigation involving pharmaceutical and medical devices, and the sole practitioner who is also listed in the “Hall of Fame” for Leading Trial Lawyers. The Alumni Service Award honors an alumna or alumnus who has contributed significant, sustained leadership and outstanding service to the Emory Law community. John Maggio handles all types of civil, commercial, and product liability litigation, with a focus on aviation and has represented air carriers, aircraft manufacturers, and insurers in wrongful death, personal injury, and contractual litigation. He is president of the Association of Transportation Law Professionals and in 2018, was recognized as a leading lawyer in the US Legal 500 for his work in aviation litigation. Maggio is listed as a Leading Aviation Attorney by Aviation Expert Guides 2017 and also in the 2018 Who’s Who Legal: Contentious. In 2011 he was named one of New York’s “Rising Stars.” Maggio has been recognized since 2014 as a Super Lawyer in the aviation field among attorneys in the New York metropolitan area. His experience includes litigation in multiple state and federal courts, including successful appeals before the US Court of Appeals for the Second, Ninth and Eleventh Circuits. His service to Emory Law includes his commitment as a faculty member for the Kessler-Eidson Program for Trial Technique for the past 15 years. He is also the most recent past president of the Emory Law Alumni Board. The Young Alumni Award recognizes the professional and personal achievements of an alumna or alumnus who graduated within the past 15 years and has made notable leadership and service contributions to Emory Law and to the legal profession. Donna Yip serves as senior vice president and deputy general counsel at PineBridge Investments in New York City. Prior to joining PineBridge she was vice president and associate general counsel at Oak Hill Advisor, where she specialized in high-yield credit, leveraged loans, high-yield bonds, structured products, distressed investment, and private lending markets. She also previously held positions at Proskauer Rose LLP and Paul Hastings. 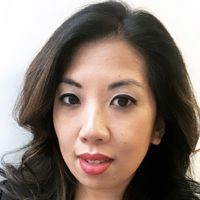 In addition to her Emory Law degree, Yip holds a bachelor of arts in leadership studies, business administration, and political science from the University of Richmond. C. Robert Henrikson 72L—former Chairman of the Board, President and Chief Executive Officer of MetLife Inc.
Make a gift to the Law School Fund for Excellence. For questions about alumni relations, please contact us.